Dinner was completed and so were all the desserts and we were getting ready to bring in the New Year. There were hats and tiaras for the younger ones and we were getting all of the flutes lined up for those that wanted to toast the moment. For the minors that were there, they were not forgotten. We had some bubbly for them as well. We had some bottles of Martinelli’s Sparkling Cider. 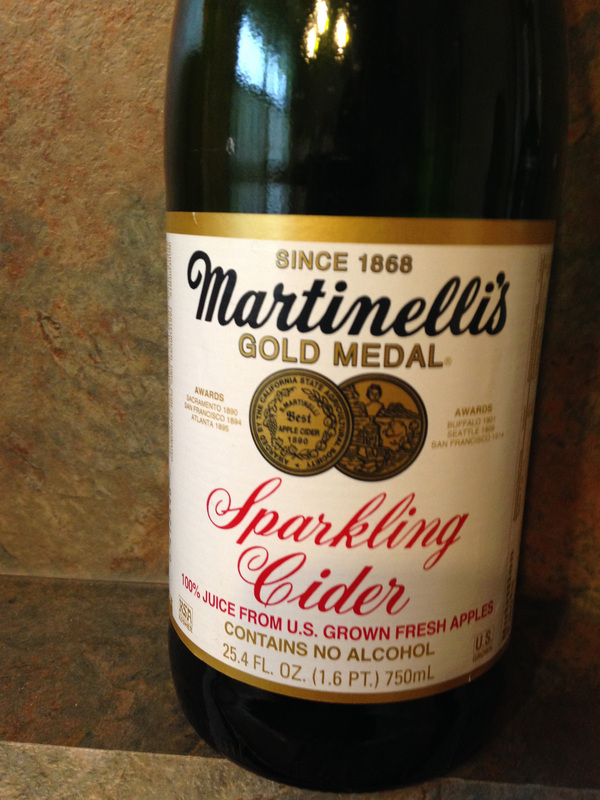 This is a non-alcoholic version of the founder of Martinelli’s Champagne Cider. This is a beverage made from pure apple juice and made near the Monterey Bay in Watsonville, California. Every year this drink has been popular with the younger set, as they stay up and celebrate with their adult relatives. For the adults who wanted some bubbly, this year we had some French Champagne from Epernay. 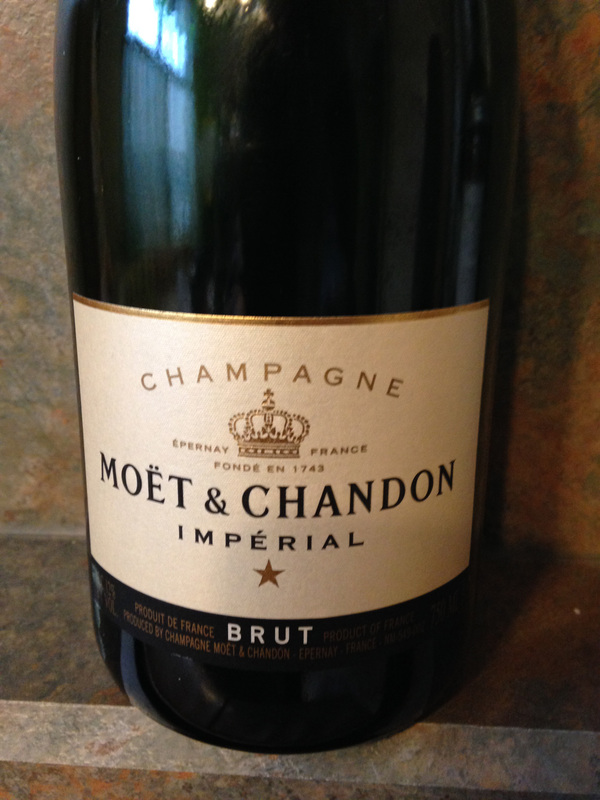 We were pouring Moet & Chandon Imperial Brut NV. This is their iconic house Champagne originally created in 1869 and is a blend of Pinot Noir, Pinot Meunier and Chardonnay. Moet & Chandon advertises that they blend over a hundred different wines of which twenty to thirty percent are reserve wines to maintain the taste that they want year after year. A little historical side note is that originally the non-vintage wine was called White Star and the vintage line was Brut Imperial, in case you ever see some old labels and wonder what happened. It was a wonderful way to bring in the New Year, wishing everyone love, luck, health and happiness. This entry was posted in Dining, Wine and tagged Champagne, Chardonnay, Epernay, France, Imperial Brut, Moet et Chandon, Pinot Meunier, Pinot Noir, White Star. Bookmark the permalink.